La Casa del Tio is recommended by Lonely Planet, Let’s Go and other travel guides because it has a great location, cleanliness, security and good value. Those characteristics are the keys of success of this small hostel and bed & breakfast located inside the historic Guanajuato, a few steps of the Teatro Juarez, el Jardin and the best museums in town. 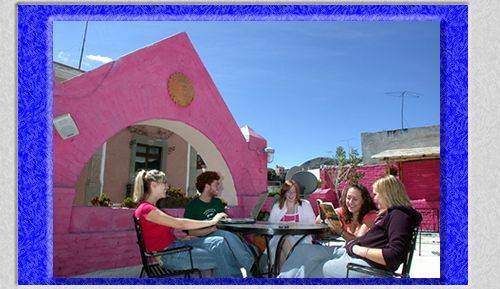 Furthermore, for your own protection, this hostel is one of the few business legally operating, member of the Mexican Hostel Association. The hostel’s cheaper accommodations are in the second floor and the Bed and Breakfast in the first. 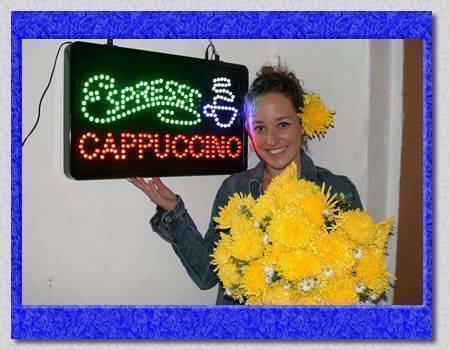 All the costumers have free access to the hostel wireless network, the kitchen, laundry and orientation services from the friendly staff and owners. They also offer tours and transportation services from the bus terminal or airport for an extra fee. If you arrive by car there is a protected paid parking nearby. Additionally, to make your stay more comfortable, this hostel also has a Sushi restaurant for lunch and dinner time. Once a week they have a special of two items for the price of one. However the best place it’s the rooftop and the amazing view of the Historic Center and mountains. La Casa del Tio is in so great location than filmmakers have used the surroundings since the time of Brigitte Bardot (Viva Maria) to Antonio Banderas blockbuster Once Upon a Time in Mexico. In addition the hostel accommodations are in the only Art Deco building in Guanajuato. 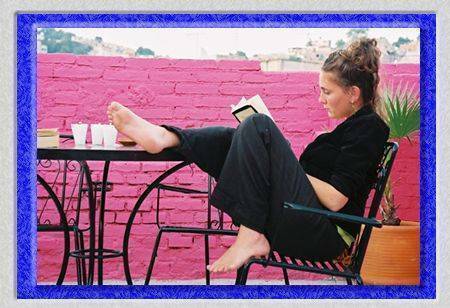 So... book right now La Casa del Tio and taste the real life of Guanajuato! The property offers free wireless Internet, a wonderful rooftop, laundry, kitchen, lockers and a Sushi Restaurant. 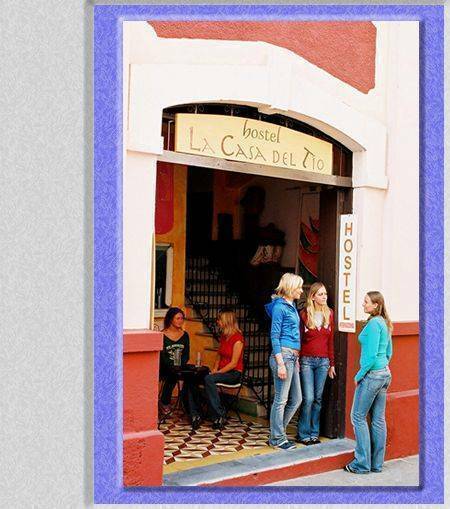 It is important to note that La Casa del Tio is a Hostel and Bed and Breakfast. We also offer apartments with Jacuzzi, firewood place and nice roofttops for visitors who want to enjoy a more relaxed and upscale place. They are in the area of touristic Mercado Embajadoras. 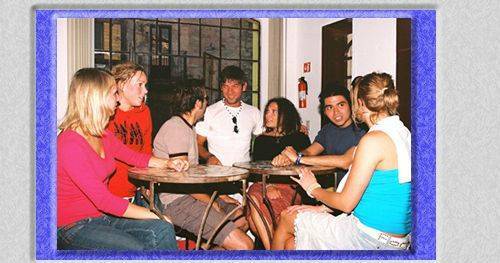 The hostel is highly recommended by Let's Go, Rough Guides, Lonely Planet and other travel guides because of its location and professional service to an international clientele. Its location is very convenient to enjoy museums, historical places and stores. Inside our place you can enjoy a fine and not expensive Japanese restaurant. We accept Credit Cards and our cancellation policy is 100% if you cancell 20 days in advance, 50% if you cancell 14 day in advance and no refund 48 hours before. Please take note that for high season and special dates like Cervantino Festival there is not refund at all. La Casa del Tio is in the centric Cantarranas Street, around two blocks from El Jardin and Teatro Juarez. Nearest airport: The nearest airport is Leon (BJX) and the distance is half hour to Guanajuato. La Casa del Tio can pick you up.